Celebrities are always inspiring us with their lifestyle, holiday ideas, fitness, and not to mention, their gorgeous wardrobe. While we cannot have it all, we always wish and hope to own some of the outfits that they wear. Let us sneak a peek into the wardrobes of our favourite celebrities and see what we can pick for ourselves this season! Happy and cheerful, this ankle-length dress in candy stripes adds a touch of retro and yet, is subtle enough as a day wear. Chic, classy, yet lively, this lilac wrap dress with purple and red floral prints is just what we could do with this season. A classic piece is a must in your wardrobe these days. And this buttoned, polka dot skirt in warm yellow and a coordinated blue knotted blouse is ultimate vintage summer attire. 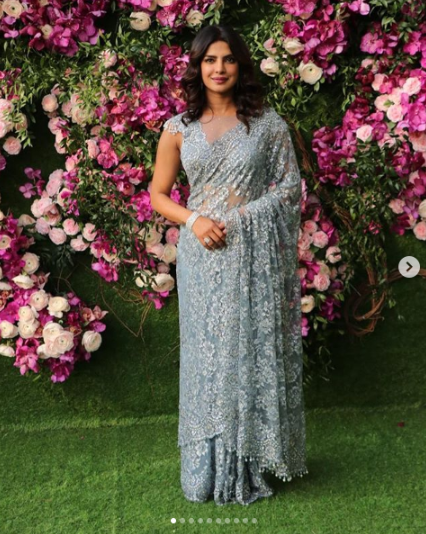 Elegant and understated, this grey saree in lace details can be the perfect choice for a traditional event or a wedding party. 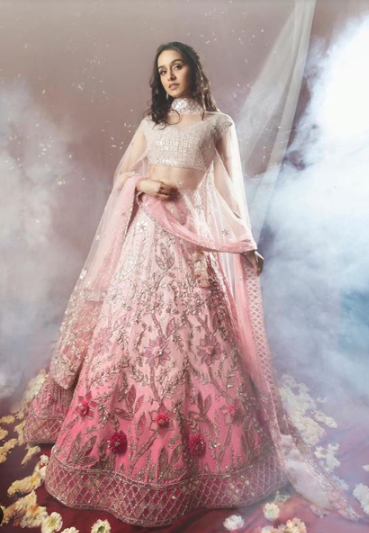 Dreamy and like a fairy-tale, this gorgeous lehenga ensemble by ace designer Manish Malhotra is something we all would love to have. The subtle pink tone and the little floral embellishments make it just about right for a summer wedding. Each of these outfits might be far-fetched to own, but we can always get inspired and include some of the elements in our summer fashion.